Comfortable, equipped room. The beach in the backyard. Friendly staff/owner. Shops and restaurants were realy close. Beautiful landscape. Nice sandy beach. Location of the hotel was excellent, right on the main road, and backed directly on to the beach, but even so was not disturbed by any noise. The room was cleaned daily with fresh sheets and had a fridge, kettle and hot ring. Fabulous location right on the beach. There’s no pool but that didn’t phase us (1 adult & 2 kids). 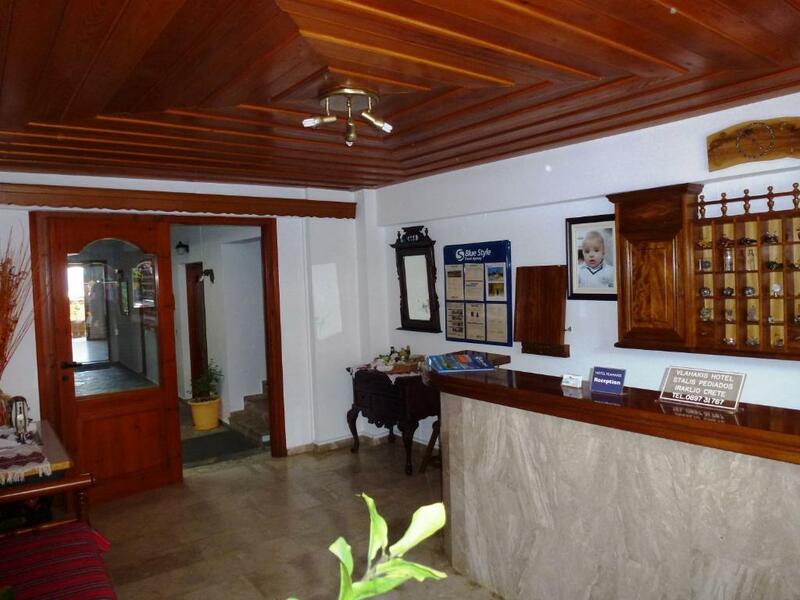 Lovely, simple, family run small hotel. The view from the balcony was stunning! We definitely will stay in the hotel next time. Mario and his wife / the owners of the hotel / were very friendly, always helpful. 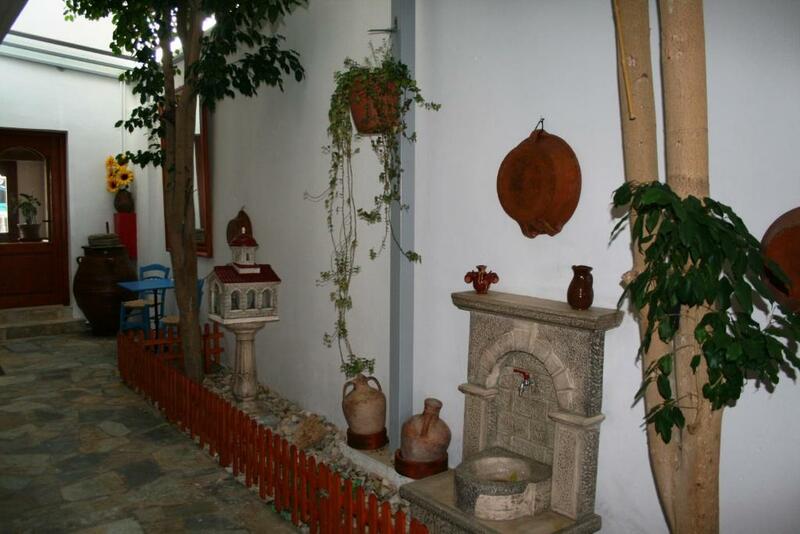 The hotel is very homely, nice Greek design. Right on the beach, lovely big room and very clean. Stalis has a beautiful big sandy beach, very clean. Room was clean. Cleaner came in everyday. It had everything that I needed. Excellent central location and reasonably priced. very good pillows and always cleaned regularly.emailed and asked about a hair dryer and they were able to lend me one for the duration of my stay! Good as a base for exploring stalis/Crete. 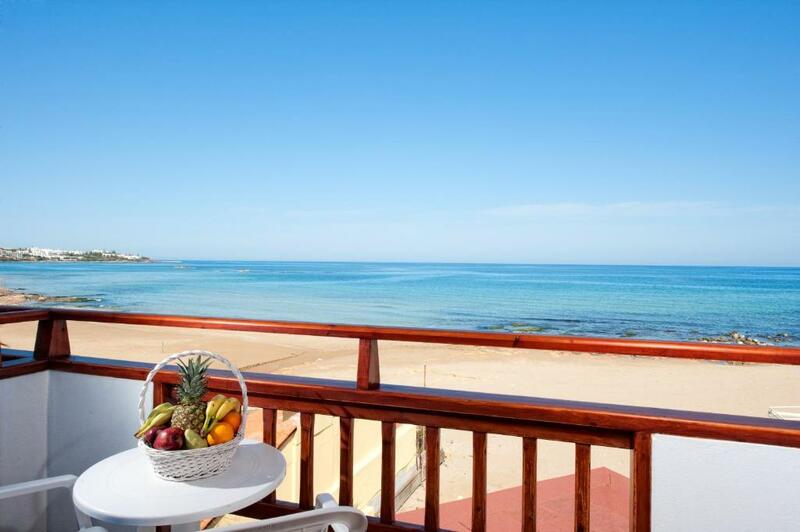 Great view -the sea view rooms are right on the beach. Die Nähe zum Strand. Die Meersicht. Die Möglichkeit das Morgenessen selber zuzuberei-ten. 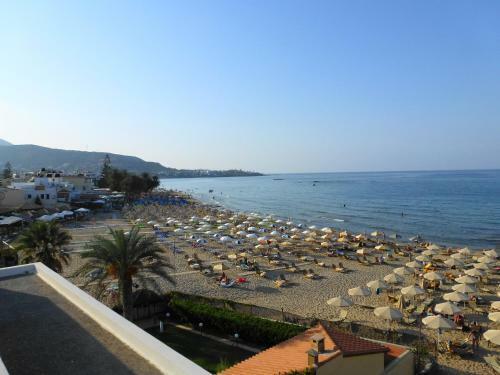 Lock in a great price for Vlachakis Hotel – rated 8.5 by recent guests! 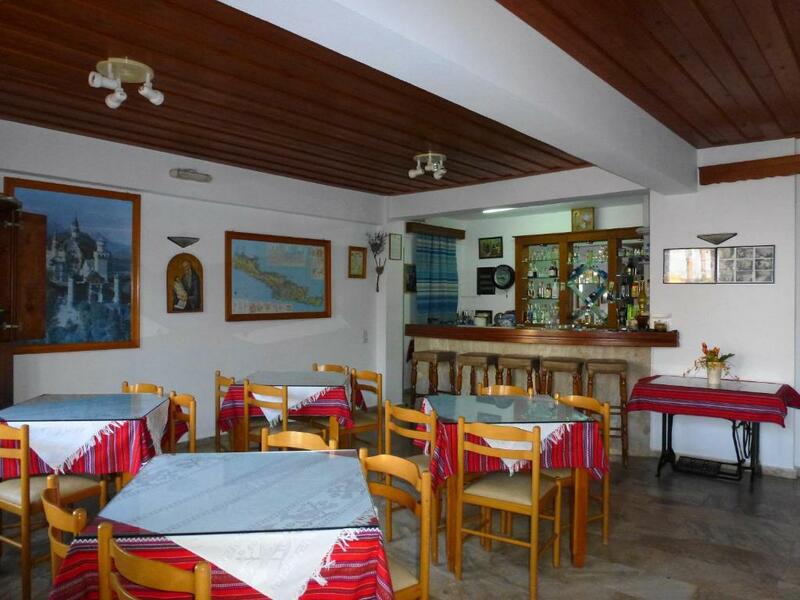 Featuring a beachfront snack bar, Vlachakis Hotel is located right on the sandy beach of Stalis and within 350 feet from restaurants and shops. 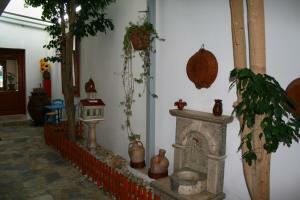 Its self-catering units open out to a balcony with views over the Cretan Sea, the garden or the surrounding area. Bright and airy, the studios of Vlachakis have a kitchenette with a small dining area. Each unit is equipped with fridge and coffee maker. Bathrobes are available in the private bathroom. A continental breakfast is served daily at the dining area. Guests can also enjoy a variety of refreshing drinks, light snacks and coffees at the snack bar by the sea. Vlachakis Hotel is located 17 mi from Nikos Kazantakis International Airport and 19 mi from Heraklion Town and Port. Agios Nikolaos Village is at 19 mi, while Elounta is 24 mi away. Free Wi-Fi is available in the public areas and free parking is possible at a nearby location. When would you like to stay at Vlachakis Hotel? Enjoying views over the garden or the surrounding area from its private balcony, this air-conditioned studio features a kitchenette with fridge and coffee maker. Air conditioning and safe are available at extra charge. 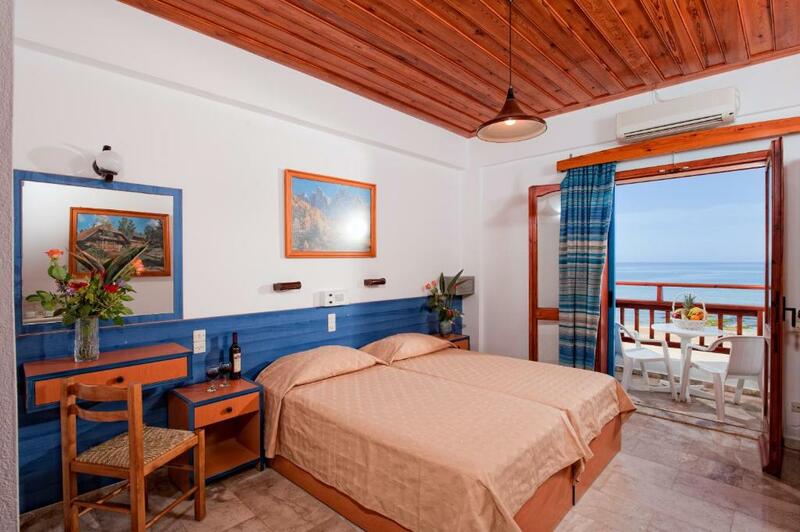 Enjoying views over the Cretan Sea from its private balcony, this air-conditioned studio features a kitchenette with fridge and coffee maker. House Rules Vlachakis Hotel takes special requests – add in the next step! Vlachakis Hotel accepts these cards and reserves the right to temporarily hold an amount prior to arrival. Please note that free WiFi is available in the lobby. 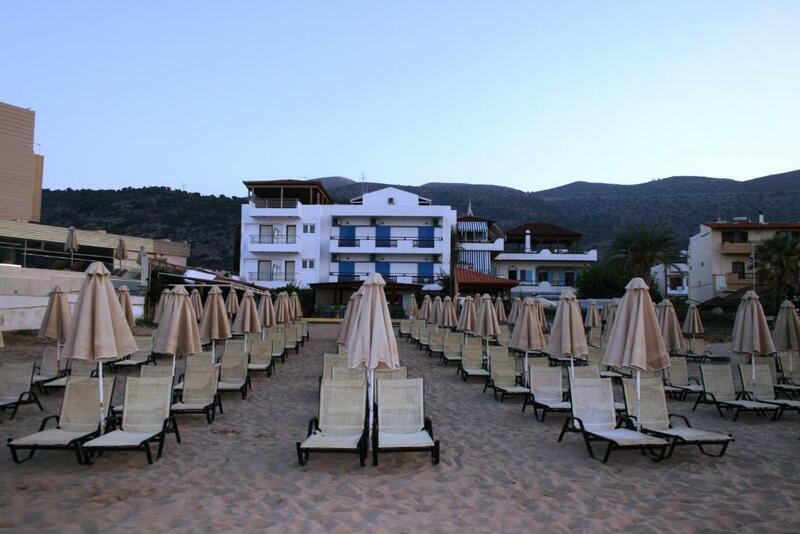 Please note that sunbeds in front of the hotel are available with an extra cost. Please note that sunbeds in the beach are available with an extra cost. The shower head leaked and was not wall mounted so had to be hand held. It cost €5 for the sun beds even though you were guests of the hotel. Having a room at the front was very noisy would have preferred a room with a view of the sea which would have been more peaceful at night. Unfortunately there were none available. We liked everything there, all met our expectations . We would have liked a holder on the wall for the shower. we had to hold the shower above our heads to shower ourselves, not easy for shampooing but managed. No airer for the balcony so we bought rope and made washing lines. It only cost 1.50 euro from the super market on the beach so not that bad. Having to pay for sunbeds. Central Stallis right on the beach. luckily I was wanting a peaceful time, if I was looking for company I definitely wouldn't find it at the accommodation, no social aspect whatsoever! No bar and no food/snacks, no communal gathering area. Don't expect to stay in bed or your room past 10am as the cleaner will wake u or need to come in long before midday! But she's lovely and does a good job. Requested a beach side room but that didn't happen, u have to pay extra apparently. Road is noisy outside the room but I expected that. When I arrived the owner really wasn't happy as he had to stay up til 1am to welcome me, if u can call it a welcome, it took him about a week before he could say hello again! But again, it didn't bother me as I'm happy doing my own thing! Close to all amenities so was happy to be going elsewhere for interaction when I wanted it!